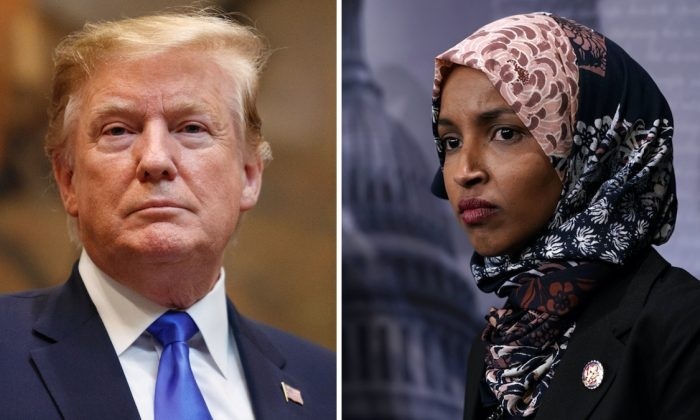 On April 12, 2019, U.S. President Donald Trump sparked outrage by tweeting a video, which antagonized the character of U.S. Congresswoman Ilan Omar. The 72-year-old Trump’s past Twitter antics have created a broad and unflattering consensus. Even his own political benefactors would agree that the former reality show actor’s posts expose his sanity level as highly questionable. However, Trump’s latest display of social media recklessness came in the form of a politically-driven video attack against Rep. Omar, a Democrat elected to the U.S. House of Representatives. Omar, 37, is the first Somali citizen and the first woman of color from the U.S. state of Minnesota to be elected to Congress. She is also among the only two Muslim women in U.S. history who were ever elected to this office. Though she is not a U.S. native, Omar is a naturalized citizen from the continent of Africa who has legally proven an honorable contribution, which makes her very much American. In fact, stories like Omar’s are rooted in the true societal creed of U.S. values. Her Islamic faith evoked Trump’s anti-Muslim fury, which is shown in his video tweet captioned “Never Forget.” This catchphrase was coined to commemorate all who were affected by the deadly acts of war carried out on September 11, 2001. In the video, a clip is shown of Omar engaged in public speaking at a March 2019 fundraising event for the Council on American-Islamic Relations. After this clip, images replay the World Trade Center burning and being struck by jetliners. 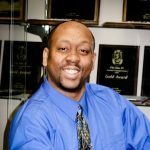 Numerous national media sources that are openly and clandestinely sympathetic to terror groups of white supremacists have negatively decried the Council on American-Islamic Relations as terrorist organization. However, the Council is still raising money legally as a nonprofit entity. Its assets have not been frozen and its leaders are not in prison. Frankly, the conventional media’s sensationalized reports on this Trump vs. Omar matter are flashes in the pan. The big danger of Trump’s act comes from its inflammatory disregard of the severity of racial, religious, and political tensions, as well as elements therein the mass murder stories of history that exemplified these tensions. Trump is merely a figurehead in a populist movement of radicals who represent a dastardly faction of American society. This cross-section of people have limited memories and forget their national figures of damnation very easily. Both the Australian mass shooting of March 2019 and the 1990s Oklahoma City bombing of the Murrah Federal Building were committed by known white supremacists. Therefore, members of the white race in America should look first to their own kind when it comes to the fact that “white nationalist violence” remains as a “pervasive threat” to U.S. safety, according to FBI Director Christopher Wray. Director Wray made these proclamations at a March 2019 hearing held by the U.S. House Appropriations Committee. What Trump himself must also know is that the very government he manages was complicit in the 9/11 attacks due to its unwillingness to act. In closing, it shall be noted for the record that protecting Ilan Omar’s life during this time is absolutely critical. As high as tensions are running, any threat to her safety will look like an inside government-directed job. However, violence begets violence. What Trump and those in his movement had better understand is that the foreign controllers of U.S. power will kill government officials, fund global organizations, and strengthen enemy foreign governments who seek their eternal annihilation. The identity of these controllers reflects people who look more like them, not Omar.